So I’m riding by on the XR70 bike my buddy Erock loaned to me (a sight to see with my long lanky frame) and I see this wicked looking Ford Falcon Ranchero. 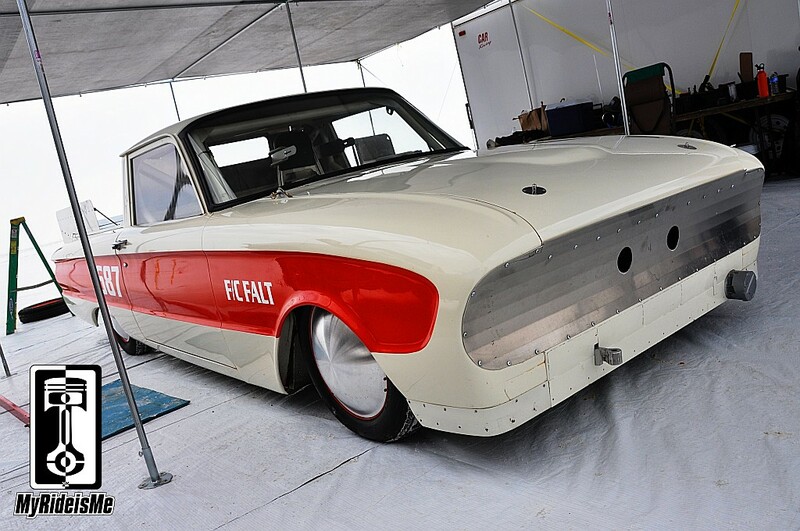 Anyone following this site knows I’m partial to the round bodied Falcons… so much so I’m building a 1963 Falcon Wagon myself. It’s your typical summer remake that’s taken 4 years so far. Anyways, that’s another story. As I walked up on this bad little pickup, I saw only one valve cover poking up… I thought, SWEET! He’s running a Ford six just like me. To my surprise, Alan Morris out of Montrose, CO chose a 1980 Nissan 280Z motor to chase the F/CFALT record of 165.224 held by the Cohn Jucewic Monza. I was surprised because in addition to being the owner/editor/janitor of MyRideisMe.com, I’m also a test engineer for Nissan. One of my favorite Fords combined with different and unexpected powerplant that’s also from the folks who pay my mortgage… win, win, WIN! 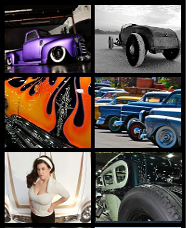 The sixer runs a healthy 14:1 compression and triple Mikuni carbs. 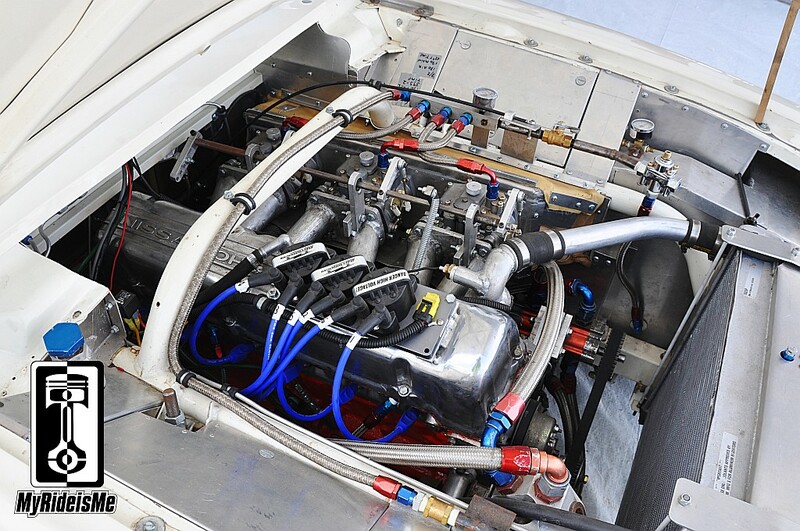 The well 280Z versed among you will say, “The 1980 280 motor was fuel injected!” You’d be right, but to stay legal in the ALT class, Alan has to run carbs. It looks awesome this way! 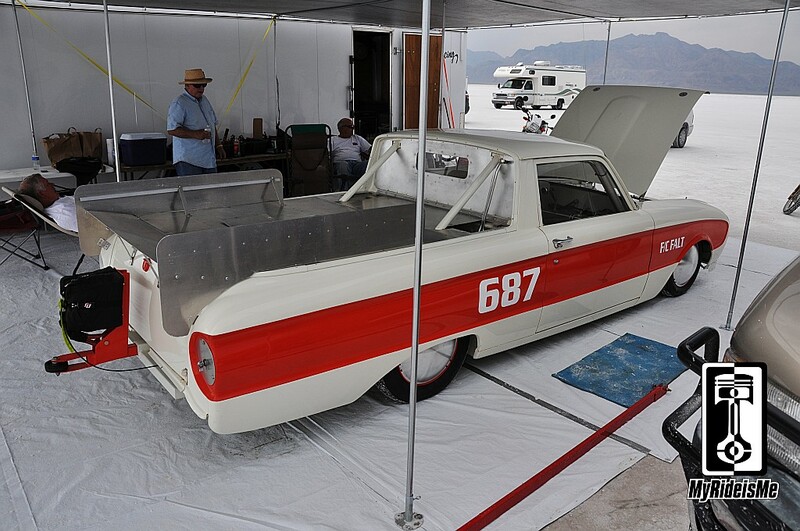 Coolest thing is… Alan owns another early 60’s Ranchero, painted just like this one but with a C4 automatic and a small block Ford. I’m trying to get pictures of the matching street car and some of this car on the salt. Anyone grab a good photo they can share? Thanks for very cool car! Looks like that 6 banger sits back nicely in that frame (relative to the front crossmember). Wow! What a wild combo!